We kicked things off with our first comic-con drone race. What's that you say? Well, we didn't know at first either, but it turned out great! 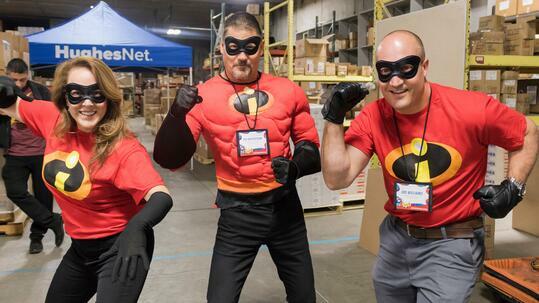 Teams were divided up and they dressed as their favorite comic characters as we raced stunt drones through an obstacle course in our corporate warehouse to eventually determine the ultimate racing champions. Talk about a fun bonding moment and an opportunity to act like a kid again. Just temporarily, of course. The golf tournament was another great time with our team and our business partners. 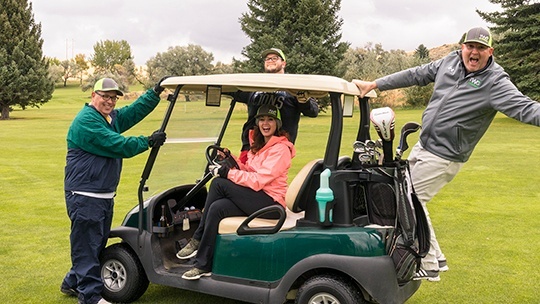 Teams of four were spread throughout our local country club for our annual golf scramble. It's an excellent opportunity for the RS&I sales team and partners to get to know each other with a little competition and fun! Despite all the fun times, it wasn't always time to play. 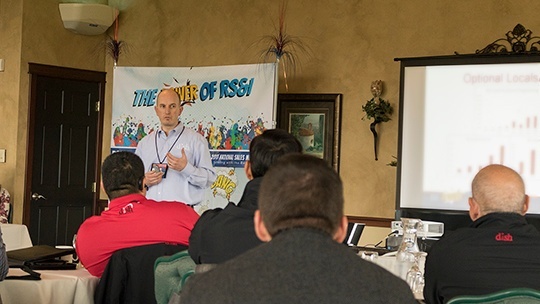 We got serious about the training as we were privileged to be taught by 13 different partners about the best practices and bright future of our industry leaders. It was exciting to learn from top executives from DISH, HughesNet, Vivint.SmartHome, CenturyLink, Ooma, and others. We especially thank our business partners for helping our sales team know and understand all of the great opportunities we can provide to our authorized retailers. It's a strong partnership that will keep all of us moving forward for many years to come. 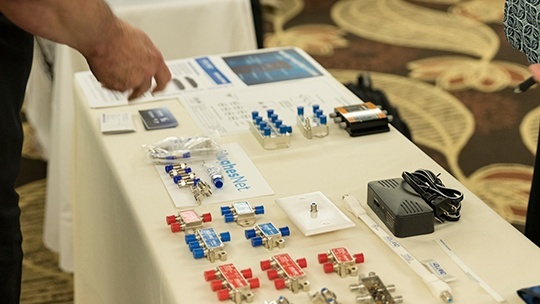 A display of products from our partners was spread out during our trade show to give our sales team an opportunity to learn even more about the products and services we sell. It's well worth the effort it takes to put it all together as our team gets primed to help you build a successful and viable business. 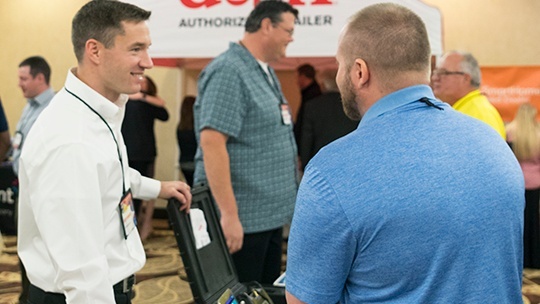 Each partner gets a spot in the trade show to allow each salesman an opportunity to visit every booth and gain as much understanding as possible. There's a lot to know! 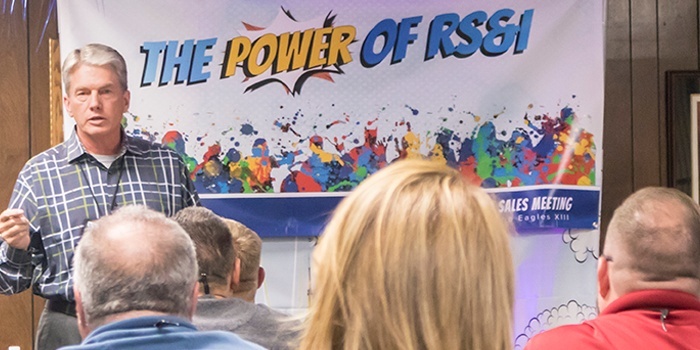 Hopefully this article was a little lighter to read and made it fun to see a few snapshots of our National Sales Meeting. Our sales team is powered up and ready to help you become an authorized retailer for any combination of our products and services. Feel free to reach out to us with any questions or if you need any clarification on how becoming an authorized retailer could be a good fit for your business. Helping authorized retailers is definitely our thing.